This activity book comes with it all. 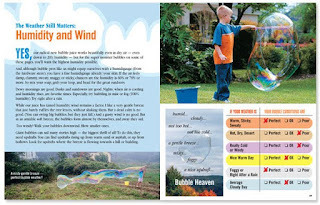 The book includes the amazing bubble thing with instructions on how to assemble and use it and step-by-step instructions on how to make the best bubble mixture including which dish soap to use from around the world. 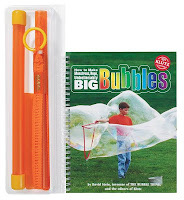 There is also a history of bubbles, and also instructions on how to make super bubble toys and tools with common household items. 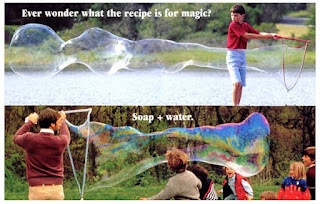 It also has a chart on what are the optimal conditions for creating bubbles. 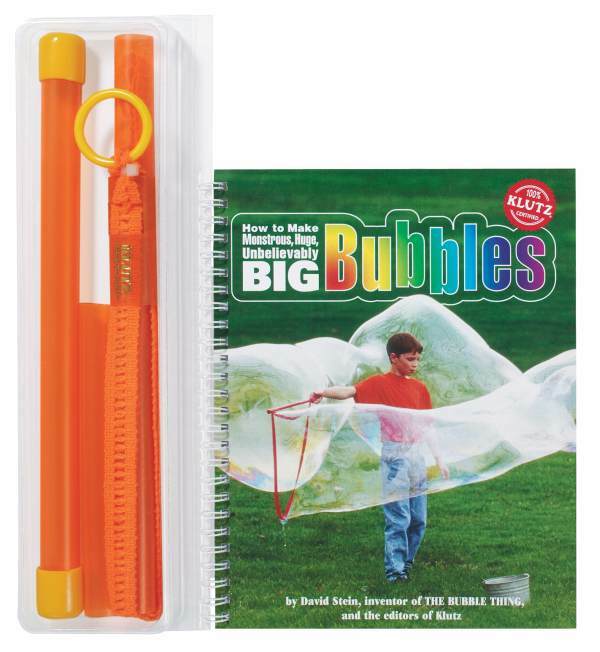 Should provide hundreds of hours of fun.